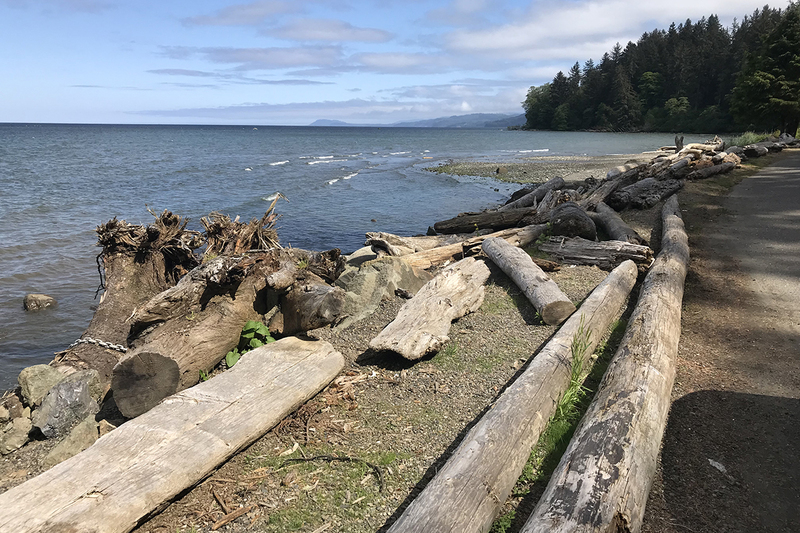 5 Clallam County Coastal Parks to Wow You! The magic of road tripping begins with one of the most spectacular stretches of highway you’ve ever dreamed about. 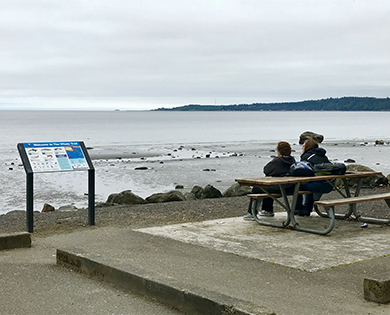 A 15-minute drive west of Port Angeles, you’ll find the entrance to the Strait of Juan de Fuca National Scenic Byway on State Route 112. 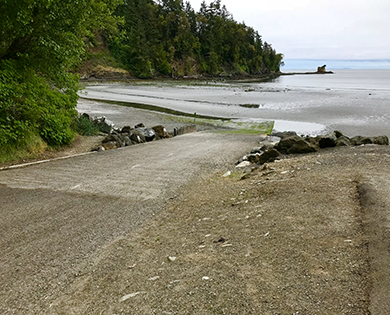 A boat launch provides easy access for sport fishermen and pleasure craft. 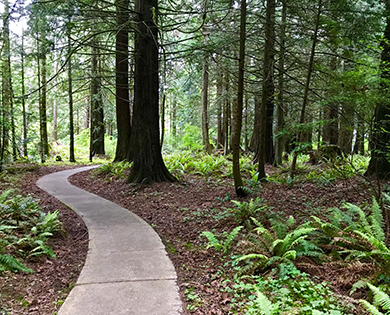 A graceful path leading to several picnic areas meanders through the wooded park. Enjoying the peaceful view across the Strait of Juan de Fuca. “The upper picnic area is like a secret garden. There are rarely people in that part of the park when I visit, so I have it all to myself,” reports Giddens. Majestic evergreens offer a canopy of shade with paved pathways leading to picnic tables and covered shelters. Along the northern fence line, indulge in vistas of Bachelor Rock and the bay below. At the boat launch you’ll find kayakers and anglers getting out on the water. Marine mammals span the shoreline during certain tides so keep a lookout for river otters or even whales further out. 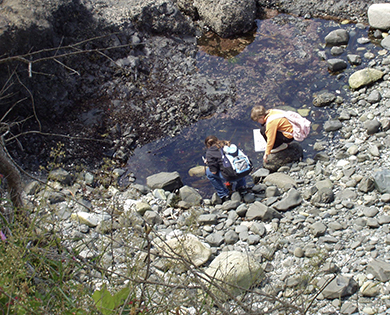 Exploring the tide pools is a family affair at the Clallam County coastal parks. A cement bunker stands testament to the days when WW-II-era Camp Hayden was located here. 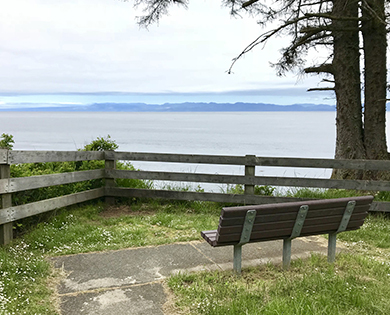 A view of Vancouver Island from a park bench on the Strait of Juan de Fuca waterfront. This facility has “national park aesthetics with county park amenities,” describes Giddens. 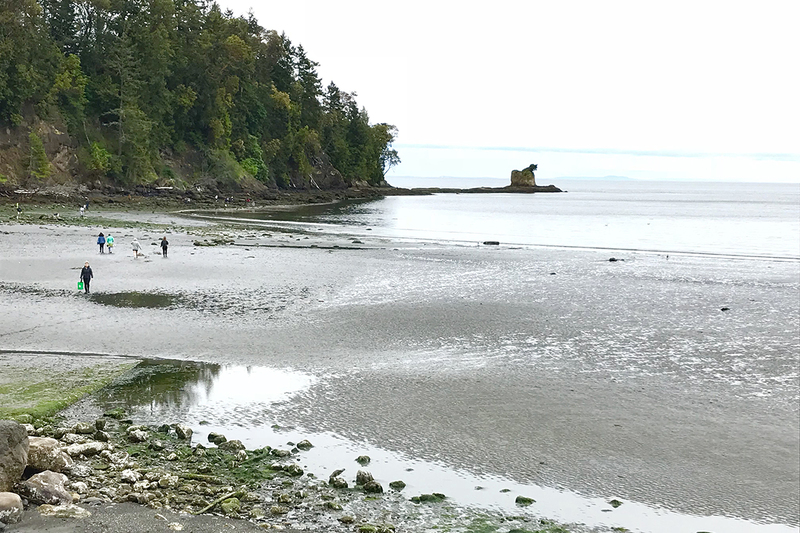 Known for its tide pools and abundant marine life at low tide, especially at the Tongue Point Marine Sanctuary, it also boasts 92 premium campsites, with 39 having water and electrical hookups. 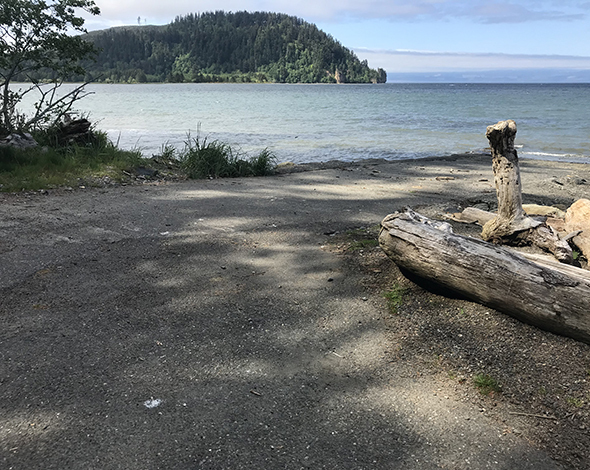 One campground is tucked into the forest and the other offers panoramic views of the Strait of Juan de Fuca across to Vancouver Island, BC. Families will love the play area for kids, plus basketball, horseshoe and volleyball courts along with a softball field. Mountain bikers and hikers can access the Striped Peak Recreation Area from the western trailhead. 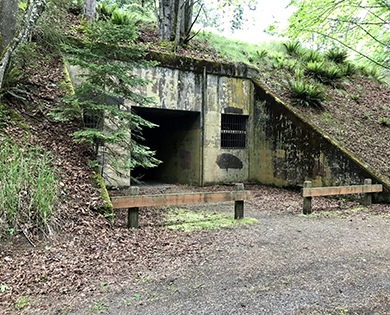 History buffs will be fascinated by the WWII-era story of Camp Hayden and its bunkers, with interpretive signage providing details of its historic significance. 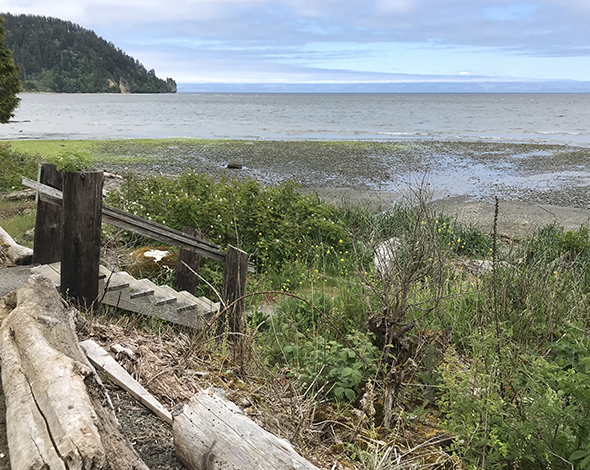 Birders will be delighted to know Salt Creek is on the National Audubon’s Olympic Loop of the Greater Washington State Birding Trail. A boat launch at Pillar Point. A stairway leading from the parking lot down to the beach. Take a respite from the twisty road and stop for a picnic with a stunning panorama of ships heading out to sea or to inland ports. Crabbing is popular at low tide from the shore or launch your boat at high tide. 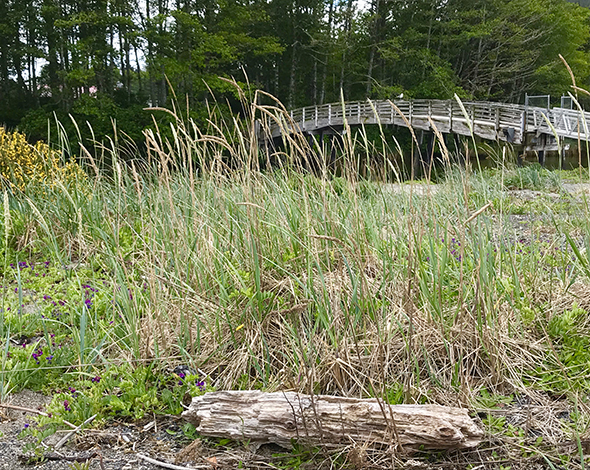 A wooden bridge leads from the Clallam Bay Spit parking lot across the grasslands directly to the beach. 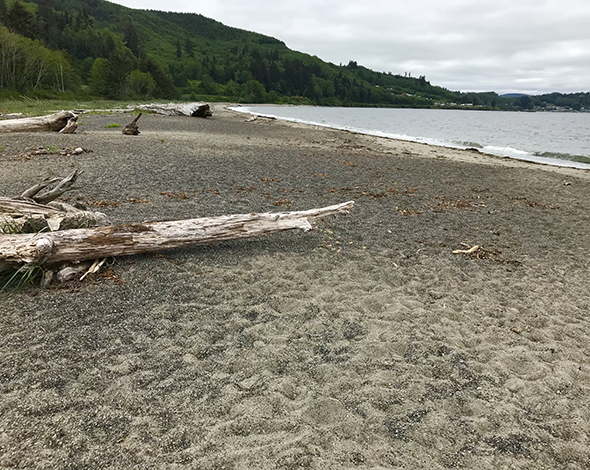 The wide sandy beaches of Clallam Bay Spit and Clallam Bay West (pictured above) are popular with visitors and residents alike. 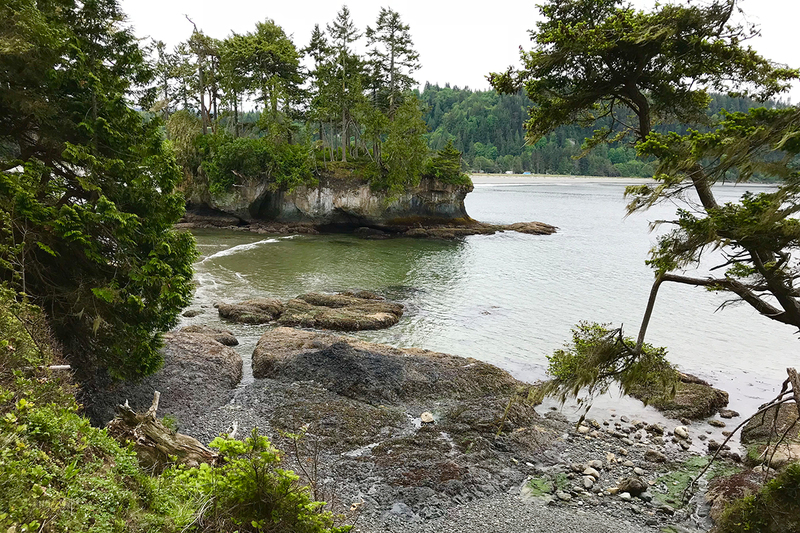 At any of these gorgeous parks, you’ll experience the wonder of nature, discovering its beauty and power as you listen to the whisper of the sea and wind in the trees. Visit www.clallam.net/parks for more information. 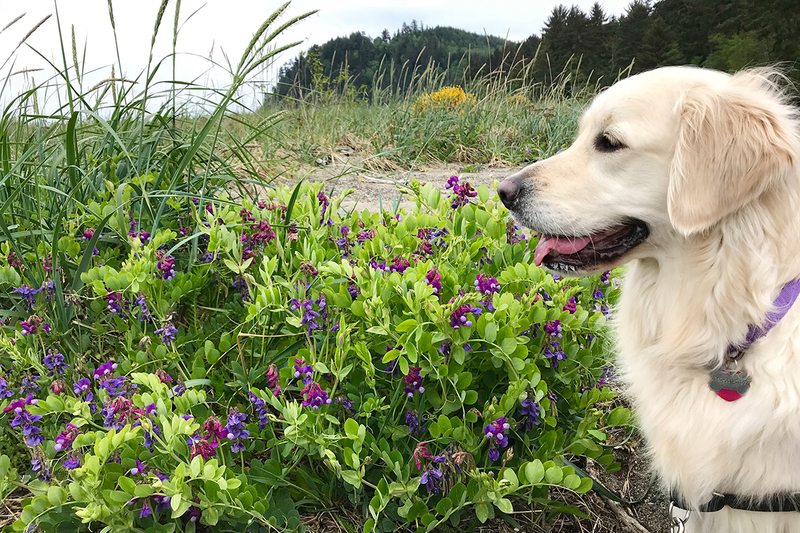 About the Author: Anne Norup is an Olympic Peninsula freelance travel writer and provides local insight as a contributing writer for Team Scenic. Moss, giant spruce and yes... rain!